Funeral services will be held 2:00 p.m. Saturday, March 23, 2019, at the Stanley-Dickey Funeral Home, Pleasant Hill, Missouri. Interment will be in the Pleasant Hill Cemetery. 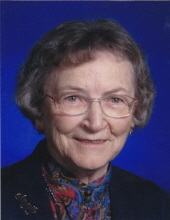 Visitation will be held 1:00 p.m. until service time at the funeral home. Memorial contributions are suggested to the Shiner’s Hospitals for Children in St. Louis and may be sent in care of the funeral home. To plant a tree in memory of Margaret Ann Seaton, please visit our Tribute Store. "Email Address" would like to share the life celebration of Margaret Ann Seaton. Click on the "link" to go to share a favorite memory or leave a condolence message for the family.